This past month has been an exciting time for the Learning Bird team. We’ve been busy traveling to the communities we work with in order to support teachers, show off the fantastic lessons that communities have created, and collect resources from within communities to create even more lessons. We wanted to share with you some of what we’ve experienced on these trips. Four members of our team have shared the stories of their most recent visits to schools and communities in the sections below. During these trips, our team was able to connect with teachers one-on-one, and we had some great discussions along the way. I’m Peter, an Education Account Lead at Learning Bird. I work with teachers and administrators to help them integrate Learning Bird resources into their classrooms. Recently, I got to see the beauty of Northern Manitoba when I visited Cross Lake. I spent two days working closely with teachers at Mikisew High School and also got to participate in various activities and events which were happening while I was in the community. My work with teachers consisted of helping them come up with ideas to integrate more digital resources into their teaching practice. I met with teachers in small groups and we discussed pedagogy and digital technology. I listened to teachers speak about the challenges of including digital resources in a remote community and worked with them to address those challenges. While on site, I also had the chance to run a Professional Development workshop which focused on activities that could be run in the classroom with limited access to digital technology. Teachers had the chance to share some of their own strategies with one another and discuss how they would use these new activities in their own pedagogy. While I was at Mikisew High School I was welcomed into the school community and was able to help out during the school’s Mini-Festival. I led my group of students through various games and challenges that were happening all around the school. 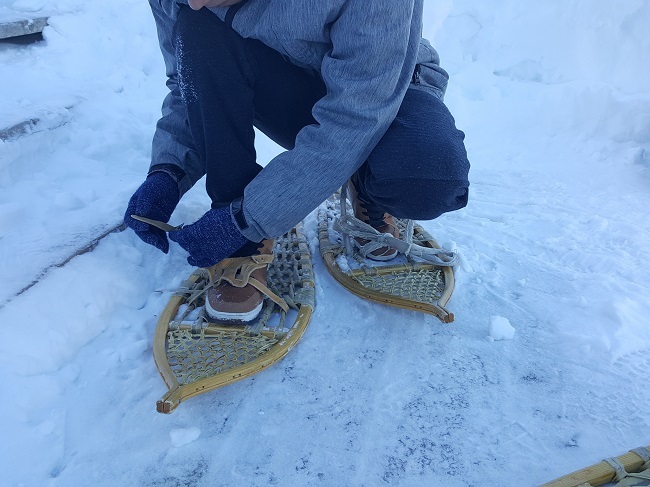 Activities included Moose Calling, Trap Setting, Snowshoe Racing, as well as many others. One evening, the community gathered at the Cross Lake Sports Complex for a Jigging Contest. 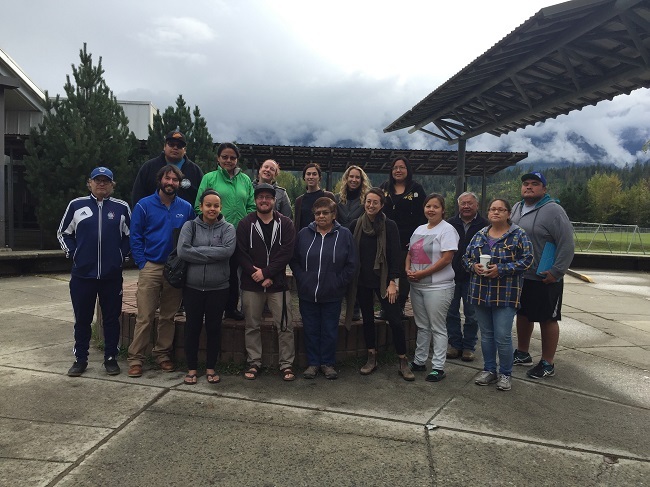 This was a great opportunity to spend some time with Mikisew High School teachers and staff outside of the school. I feel incredibly privileged to have been able to partake in these events and activities. 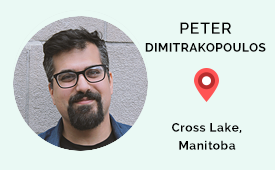 I am learning more and more about Northern Manitoba as time goes on, and very much look forward to returning as soon as I can. A big thank you to all the Mikisew teachers and staff for making me feel so welcome. Hello! 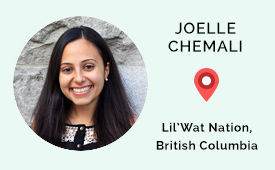 My name is Joelle and I am the Education Training Manager at Learning Bird. My goal is to ensure that our trainings and workshops go smoothly and meet the expectations of our partner communities and schools. 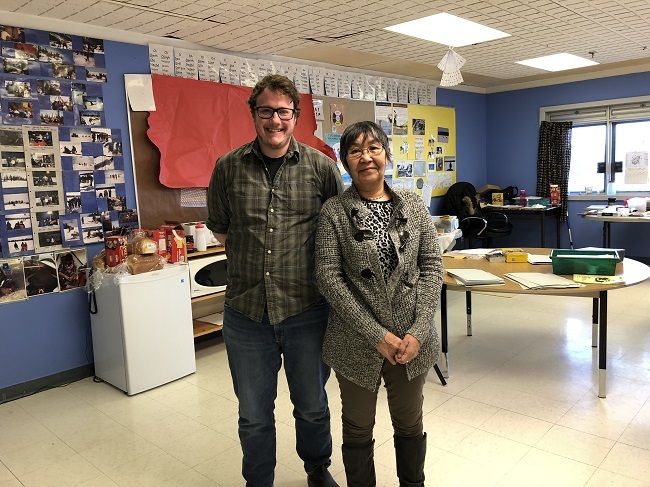 At the beginning of the month, I had the pleasure of visiting Xet̓ólacw Community School in Lil’Wat Nation for the second time this year, which truly was a great experience. Upon arrival, I was welcomed with open arms by all staff members. Kevin, the wonderful and competent IT technician, helped support the update of their local server which went smoothly. This allowed me to spend two days coaching teachers on finding content on the Learning Bird platform to help support their instruction. We revisited some content we worked on together last year in math such as “Similar Figures of Canoes“, as well as cultural content such as the “Importance of Land to the Lil’wat/St’at’iyém’c People”, which was created to support their local “Walking the Land” curriculum. I also worked with the science and math teachers on developing content we are collaborating on together this year – they’ve got some great lessons coming up! What I particularly enjoyed from my interaction with teachers on this trip was that I had the opportunity to have one-on-one conversations with each of them. This gave me insight into their personal successes and challenges in the classroom, which allowed me to adapt each one of my coaching sessions to try and meet their needs. This also gave teachers room to share their thoughts and feedback about Learning Bird which we greatly value. While in Lil’Wat Nation, I visited the community culture center, where I was finally able to meet the lovely Lois. After speaking with her many times over the phone I was so glad to be able to meet her face-to-face. I also have to admit that I went on a little shopping spree there and bought some lovely local items. From the beautiful mountains to the wonderful teachers and staff, to students scaring me from behind doors every time I walked out of a classroom, I do have to say that this was an unforgettable trip. A big thank you to the principal, Rosa, for helping organize the visit, and to everyone there for being such an awesome group to work with. 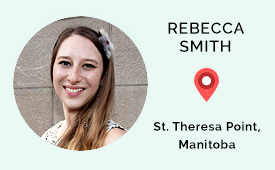 Hi, my name is Rebecca and I’m an Education Account Lead at Learning Bird. My role is to support educators in finding different ways to integrate Learning Bird lessons into their teaching practice. 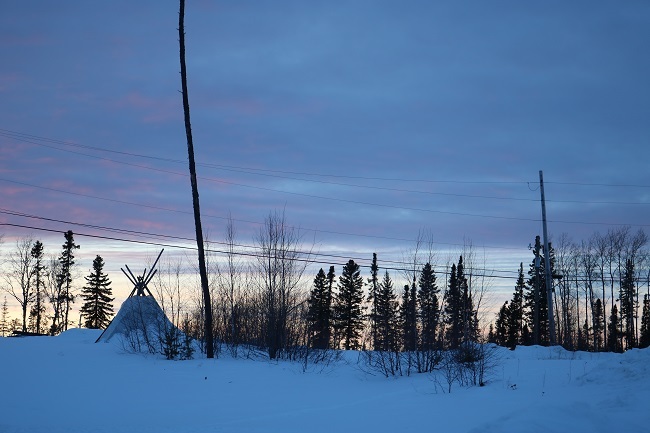 I recently visited St. Theresa Point First Nation in Northern Manitoba. I had a wonderful time meeting with teachers at both the Middle Years School and the High School. While in the community, I had the opportunity to meet with teachers individually or in groups of two. 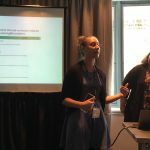 During our sessions together, we were able to look at the new lessons we collaborated on with communities across Canada, talk about integrating these lessons into teaching, and discuss the benefits, as well as the challenges, of using technology in the classroom. I also had the chance to review some lessons with teachers while I was meeting with them. You can expect to see some great lessons from St. Theresa Point soon! I had a great time meeting with teachers during this trip. This one-on-one style of coaching allowed me to have some great discussions with teachers on topics ranging from the preservation of language and teaching traditional values, to different ways of connecting with students. These types of discussions are great for helping me understand the school and the students more. 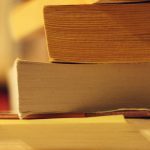 With these understandings, I am able to support teachers even more through helping them find lessons that will meet the goals they have for their students. I really enjoyed being in St. Theresa Point at this time of year. It was still light out after school, so I was able to get out and walk around the community. Seeing more of the community and the beauty of the land gave me the opportunity to see some of what makes St. Theresa Point so special. The staff at both the Middle Years School and the High School are always warm and welcoming. 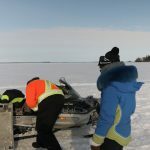 It is clear that they care very much for their students, and want to do whatever they can to make sure they receive a good education that covers the provincial curriculum as well as local traditions. It’s this feeling of being welcomed by everyone I see, and seeing the passion teachers have for their students, that makes St. Theresa Point such a wonderful place to visit. I want to thank all the school staff for helping to make this trip so memorable. 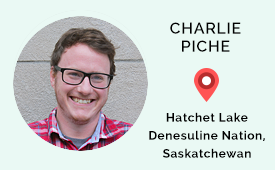 My name is Charlie and I am an Educational Account and Content Lead at Learning Bird. My role involves working closely with school administrators, teachers, and other community members to develop digital educational resources that address their schools’ needs. I have traveled all around the country over this past year visiting schools and have been on 9 different models of airplane. Most recently I visited Hatchet Lake Denesuline Nation and the town of Wollaston Lake in Northern Saskatchewan. I met with teachers at Father Megret High School one-on-one to discuss their needs and to collect content that we will use in the lessons we are creating together. One of the teachers that I sat down with, Mary Ann, recorded an interview with me to incorporate into the lessons we are collaboratively developing. We had a detailed discussion about topics that ranged from the upcoming North of 60 Agreement to her work translating the Dene language. She also provided the narration for a reading of the legend of Thanadelthur, the version told by her grandmother. Mary Ann has long worked to preserve and invigorate language and culture in the Denesuline community. I am excited and humbled to be able to assist her through our work together. Saskatchewan does not have ‘daylight savings time’ so its clocks never change throughout the year. This meant that, while it was dark in the morning, the sunny days lasted well into early evening so I had some time to explore. Hatchet Lake is a special place. While I was there it was cold (-40℃!) but that did not stop me from going out for a long walk on the ice road on top of the lake. I was last in Hatchet Lake in the fall, before the lake froze over. During the warm months, the town is connected to the highway by a lake barge. In the winter, the ice road provides a more regular connection. I really enjoyed my time at the school and the work we are doing together. The staff was exceptionally warm and welcoming and I look forward to my next visit up there. Masi chok! These visits are some of the most recent trips our team has taken. Our team is privileged to meet many knowledgeable people and to experience some amazing events in our travels across Canada. We will continue to share more of our experiences and stories as we partner with additional schools and see more of this great land. If you are interested in learning more about how we collaborate with schools and support teachers, or if you would like to see samples of the content we’ve collaboratively built this year, please contact us.